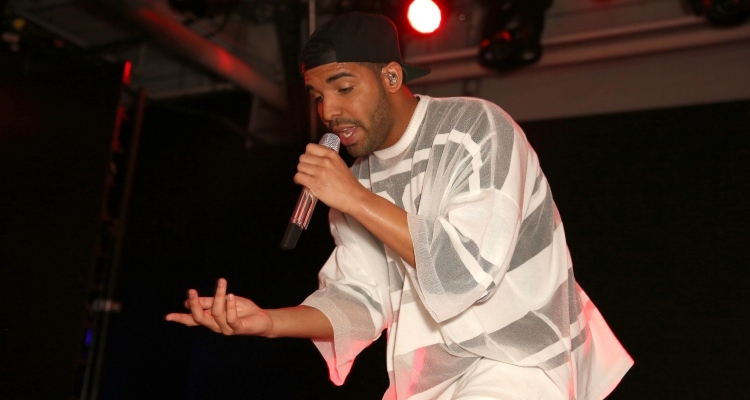 Drake Takes Over London: Shows Up at a Local Bar & Surprises Fans with a Performance! Drake’s London tour is doing well for the Canadian rapper and he’s not above making a quick cameo at a local nightclub. How does Drake party across the pond? Well, luckily for you, we have a look into how the “Hotline Bling” singer likes to have a good time! Drake’s been pretty busy with his London tour, but he had some time to take it easy. On what was supposed to be the Views singer’s day off, Drake turned up at a local club and gave a surprise performance, much to the delight of an unsuspecting crowd who were there to see the night’s headliners. Drake’s XOYO nightclub visit on Thursday wasn’t expected, but he certainly delivered a show! The Toronto native not only showed up, but performed on stage as well! The club holds 800 people and the only scheduled acts were Toronto rapper, Smoke Dawg and UK rhymer, Nafe Smallz. It looks like it was a lucky night for the audience who got to see Drake perform for free! He continued his night out at Paper nightclub where he even gave an encore performance, and dropped $30,000 on Dom and vodka for his friends! Last night I threw on a tracksuit with a plan to quickly step out, eat a quick food,go home and catch up on some sleep. Next thing I know,this is happening….???? A UK rapper named Giggs was at XOYO that night and recorded Drake’s time at the club. He uploaded the video to his Instagram and captioned the post, “Last night I threw on a tracksuit with a plan to quickly step out, eat a quick food, go home and catch up on some sleep. Next thing I know, this is happening…” The post earned Giggs over 52,000 views and over 400 comments, all saying how happy they were to see Drake’s surprise visit at the club.